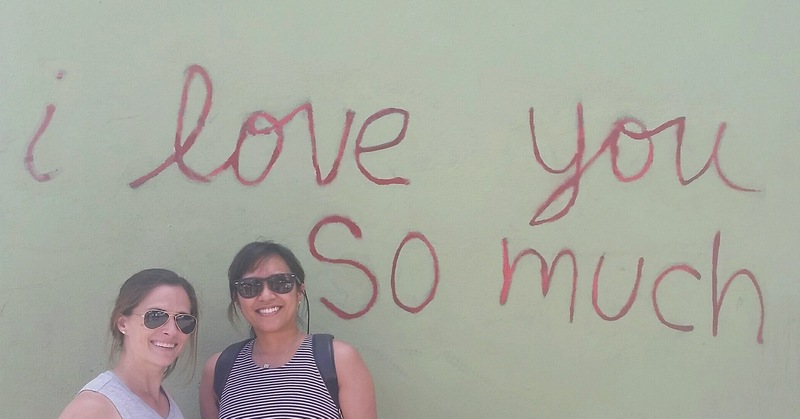 This weekend I met my friend Margarita for a girls weekend in Austin, TX. Neither of us had ever been there before and with her living in New Jersey and me in Vegas it made for a good midway point. I’m going to give you the run down of the 72 hours we spent in this very cool city. So what do we know about Austin? Well, it’s the music capital of the world…or so it claims. Food trucks reign supreme and it’s a fit city, at least that’s what I was told before we left. Now I’m a big researcher. I love to research. Ok so I’m a bit of a nerd but I’m ok with that. I’ve been to other parts of Texas, San Antonio, Dallas and Houston. None of which ever really prompted me to want to return, although I have, but Austin is unlike any other city I’ve been to. It’s been likened to Portland, Oregon and not surprisingly there is a bit of transfer of residents between these two cities. Having not been to Portland either, I still didn’t know what to expect. I flew in on a Thursday afternoon and my first order of business, after meeting up with Margarita, was to eat lunch! On the shuttle over to the hotel, which I recommend, $16 each way is not a bad deal to have the luxury of door to door service, I yelped restaurants around our hotel. A place called Moonshine caught my eye. Knowing Margarita and myself, I knew this was right up our alley. So I dropped my bag and we headed over. Moonshine is located on Red River Street in one of the originally established houses and less than a block from Austin’s tourist center. Moonshine’s menu is a modern twist on southern comfort food, from corn dog shrimp to grits with jalapeno and cheddar. I highly suggest their hard lemonade with strawberry moonshine. It was refreshing and deceptively strong. That night we ate at the famous Driskell Hotel, known as one of the most haunted hotels in the US. Knowing this we found it a little strange when the fire alarm continued to go off yet, no one made a move to leave. The Driskell Grill is a Fine Dining establishment, but like everything else in Austin it is a very laid back atmosphere. We would have been just as welcome if we had shown up in jeans and t-shirts. The food was fantastic and the service was impeccable. Margarita sampled their five course menu while I feasted on their take on an iceberg wedge but instead of using the traditional bacon it was served with pork belly. So tasty. Upon the suggestion of our friendly waiter at Moonshine, after the Driskell we headed over to the Firehouse, a speakeasy and hostel! Upon entering the hostel you are greeted by a book-case and the reception desk, but if you just pull back the bookshelf, (I know!) it reveals a very cool speakeasy with live music and great drinks. After a drink we headed over to one of the many rooftop bars that litter Austin. We ended up at a place on 5th street called Handlebar. The DJ was great spinning throwback hits from the 80’s and 90’s and the atmosphere was exactly what we were looking for, fun and chill. Our bartenders, Kyle, Mike and Sean were so much fun and poured some strong drinks. It seemed that everyone who walked into this bar knew everyone else and they all wanted to hang out with you. Next door to the Handlebar is their brand new speakeasy called the Red Headed Step Child. The door is pass code protected and looks to be a service entrance. The sign above the door is that of a Hardware Store. After passing through the door you are met with low hanging swings on one side of the bar and a very bizarre array of decor. I can only refer to it as creepy, but as with everyone one else we encountered in Austin the bar staff was fantastic and extremely helpful. I honestly don’t know of anywhere you could go and the staff will not only give you a laundry list of suggestions of where to visit but will also provide you with contact information, in case you get lost. It truly is a remarkable town. Day two we took the a double-decker bus tour around the city. There is no Uber or Lyft in Austin but there is a similar company called Fasten. If you would rather be active you can rent one of the many public bikes that reside around the city. A note of caution, Austin is quite hilly and the bikes are only cruiser bikes so bear that in mind. For $35 you can buy a hop on hop off pass for the day, which after checking out the different forms of transportation seemed the most economical. The tour only makes six stops, it’s a small city, but at each stop there is a point of interested. 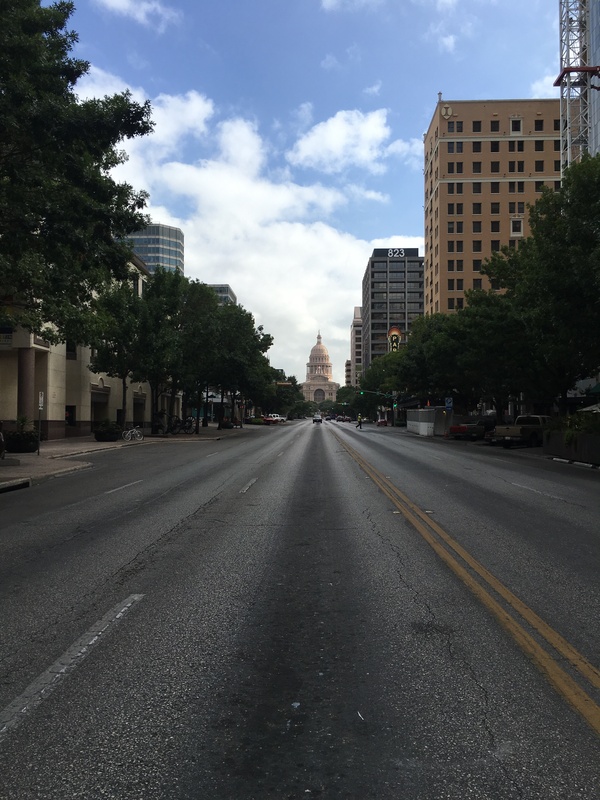 We decided to tour the Capital, The Bullock Museum and Congress Street. The Capital is one of the largest in the US only second to our nation’s capital in Washington DC. Anywhere on Congress Street you will have an unobstructed view of its dome. At the Bullock Museum we learned about the history of Texas, how it went from being a territory of Mexico to being its own independent country with its own president to becoming a state of the United States of America. Hopping back on the bus we made our way Congress Street. Congress Street is one of cool shopping districts of Austin. It is a boulevard of rehabbed strip malls, that house boutique vintage stores and upper scale clothing vendors. Interspersed are some great restaurants and coffee shops. Here you’ll find Amy’s Ice Cream. Similar to Cold Stone Creamery. All of their ice creams are handmade and when they run out of a flavor. That’s it, it’s gone and it’s worth it. We had lunch on Congress Street at a place recommended by the tour guide called Guero’s Taco Bar. It was said to be the best Tex-Mex in Austin. I beg to differ. It was ok, but certainly I have had better in New York. That being said, we knew we would have to give Tex-Mex another go…perhaps somewhere else. Friday night we decided to venture to Rainey Street, a short 15 min walk from our hotel. Our hotel was they Hyatt Place. The hotel was clean and centrally located on 3rd Street. Although it was a little expensive as most of the hotels are in Austin it was convenient and pretty close to Rainey Street. One of the must do’s in Austin is to hang out on Rainey one night. A fairly new area to Austin a developer bought up the houses on this street and began to convert the houses to bars and restaurants. This street has such a relaxed vibe we ended up going there for dinner but staying the entire evening. One of the events everyone tells you to go see when you’re in Austin is the Bats. On the Congress Street bridge there are millions of bats who have made their homes under this bridge and at dusk you can stand on and around the bridge and watch their mass exodus. Creepy? Yes. A site to see? Absolutely. Margarita and I had another idea. On Rainey street you can sit on the front deck of Lucille’s, one of the converted houses to bars, while you have a drink and watch from a distance the bats. It was perfect and I would highly recommend it. Right next to Lucille’s is Little Lucille’s donuts. Try them! You will not be disappointed. They are served warm and to your liking. When we were there they had Apple pie donuts. I’m such a sucker for apple pie. I had to try them. They reminded me so much of the apple cider donuts I would get back home in New York. So wonderful. A little further down the street we stopped into Banger’s. A traditional German biergarten, but the decor is where the tradition ends. The menu although German inspired, has such wonderful combinations of sausage to try such as a turducken sausage or duck, bacon and fig. Their food is fantastic and their service is entertaining. We sat at the bar and chatted with the bartenders, which is my preferred hangout. On any given night Banger’s will start with close to 100 beers on tap, with 85-90% of them being local or US beers, from breweries and microbreweries across the United States. There is a beer for every palate. Up and down Rainey Street you can find pedi-cabs. The cool thing about them is that the drivers just work for tips. There is no fee associated with them. You tip them what you feel. Saturday we decided to get up and go over to Barton Springs Pool. Again if you look at any “must see” list of Austin, this will be one of the items on the list. 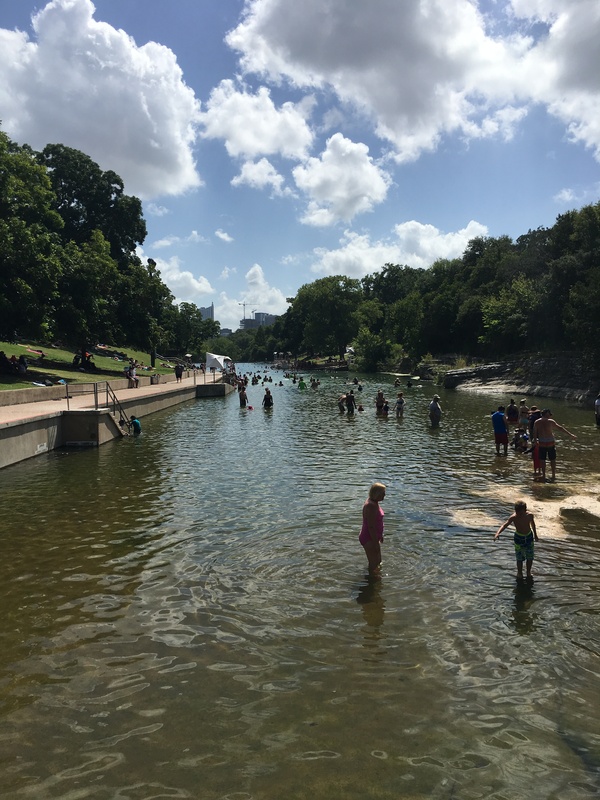 Barton Springs Pool is a natural pool set within the city limits of Austin. We hired Fasten to drive us over. The cost was about $8. It’s a great option because if you drive you will pay a $15 fee to park and parking is limited. The entrance to the pool is $8 for visitors and $4 for locals. The thing is they don’t ask for an id, all they ask you is if you’re a local. Easy enough to say yes and you’ve saved yourself $4. Or you can walk past the pool entrance around the fencing to the left and once you walk down the embankment you can enter the Springs area for free. This is also good if you have a dog since dogs are not allowed in the pool. Barton Springs stays around 65 degrees year round and it extremely refreshing on a hot day. Having no car we walked to the closest restaurant to the Springs. As luck would have it, it was a place called Chuy’s. Chuy’s in my opinion is the best Tex-Mex in Austin. The portions were huge and bursting with flavor. Hands down recommendation if you’re in Austin. The decor is a hodgepodge of Mexican kitch but as I said earlier the food is fantastic. After a quick nap we got ready to meet Margarita’s cousins out for dinner at Swift’s Attic. Recommended by our waiter at Moonshine, this farm to table restaurant has a changing menu, dependent on what’s fresh. One of the great things about this restaurant is that they will put together a tasting menu for you depending on how much you want to spend per person. We decided to let fate have its way and ordered the tasting menu at a $30 per person price point. It was more than enough food and everything was a surprise. We feasted on dishes of Korean BBQ flank steak, bacon wrapped figs, Squid fries, white tuna and a light salad. Once we were able to digest a little we left and moved on to the warehouse district, which is where the 30 somethings hang out on the weekends. It was fun but I think at that point we were all a little tired and just wanted coffee and conversation. Austin is a warm and exciting city. I can see why it’s one of the fastest growing cities in the US. There always seems to be something going on, whether it’s a food festival or a concert. Austin has something for everyone. Whether you’re an extreme outdoorist or a pretentious hipster, it is difficult to dislike Austin. Hope you enjoyed this post. If you have questions about where I stayed or what I did please send me a message in the comments. As always travel as you desire! Till next time. Double Decker Austin: 602 E 4th Street. Phone: (512) 596-2925 Fees: $35 per person for all day Hop-on, hop-off tour.